I used to prefer urban life. I always dreamed of living in big cities like New York City, London, etc. Every time we go to Manila with my family, it's always an anticipation. High rise buildings, volume of people around, the sound of the vehicles are like music to the ears. I don't mind whether it's noisy. As I grow up, I began to appreciate peaceful environment. When I went to Buguias, Benguet, you can't hardly hear any noise. You can hear some people talking but they're from afar. The view itself is something worth spending some time on. 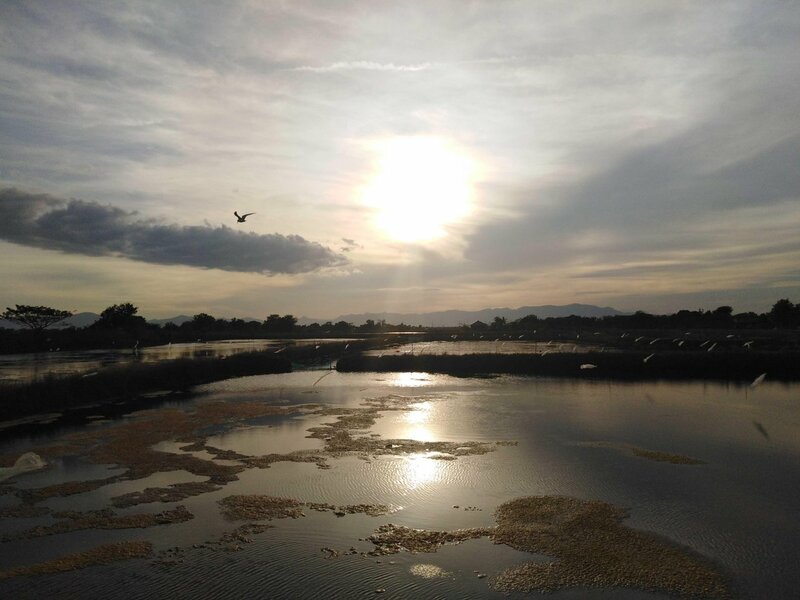 Yesterday, we're walking in a less inhabited place because it is a fish pond area, I appreciated the view as the sun is about to set. I even saw the birds flying which migrated from other countries. I believe nature has healing effects towards the body. So spend some time savor what the nature has to offer.